An IT engineer-turned photographer, or a corporate magnate, who rekindled a passion for baking, and started a new career with it. KOCHI: An IT engineer-turned photographer, or a corporate magnate, who rekindled a passion for baking, and started a new career with it. Ever felt that questionable pause right in the middle of your chosen career and the desire to move in a different direction? There are scores of such stories where people drop it all, at a moment’s notice, and turn to another career, one they identify as their true calling. To let these scenarios not become the norm, ‘Baanyan Tree’, in Kochi, a company that works with corpoartes and educational institutions, have come up with a unique plan. In their pilot project, the team is organising an internship programme for students. The groundwork has to be laid early on. The students for this programme are from class 9-12. Sindhu Asok, who leads the knowledge and development team at ‘Baanyan Tree’, strongly feels that when students are made equipped to make choices, they do it with ease. “When a lot of them are made to choose a course that has more propaganda, like engineering, they end up not being passionate about it, and the result would be a job in a BPO that does not justify their education,” elaborates Sindhu. The idea is to groom the students and allow them to enter the world of their chosen industry. Interative sessions, honing the students’ presentation skills, and so on, are some of the events which have been planned. Maintaining transparency in procedures, parents are invited for the training as well. Once the training is completed, the students are expected to file a report. The second stage is the internship. The students will be taken on a two-day on-the-field internship. “If they have chosen the medical field, they will be made to see beyond the doctors. There are other opporunities on offer at a hospital. Even an IT professional can find the right job at a hospital. We promote interdisciplinary options that are lacking in today’s education system,” states Sindhu. On the second day, the students are given a task to perform. “They will get the feel of working in the industry,” adds Sindhu. 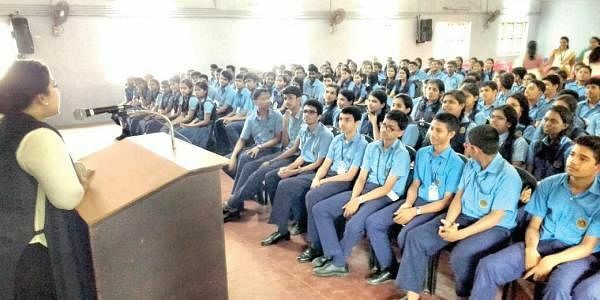 With this programme rolling, one may find the onus of a career choice quickly shifting from parents to students, prodding them to be aware and make wise choices.